Welcome to the NANODe Home Page! Here you will find species images, maps, and graphs showing information about the modern distribution of 89 species of non-marine ostracodes (microscopic crustaceans) from 600 sites in North America. We hope this web page will be used by environmental and paleoclimate specialists, geochemists, and other workers studying non-marine ostracodes. This is version 1, and we are already looking forward to an expanded version 2. 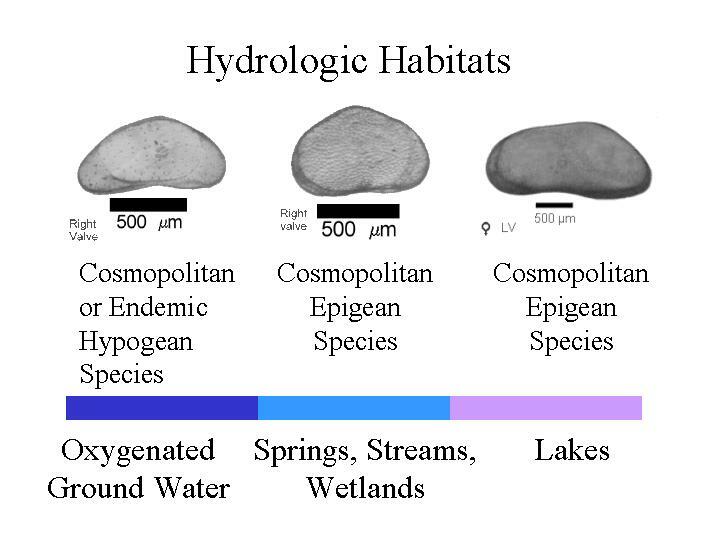 Non-marine ostracodes are abundant and diverse, living in a variety of hydrologic habitats all around us!